Hackers want control of your devices. They are relentless in their pursuit. Get A Recon Sentinel Today! What is a Recon Sentinel? What Does A Recon Sentinel Do? 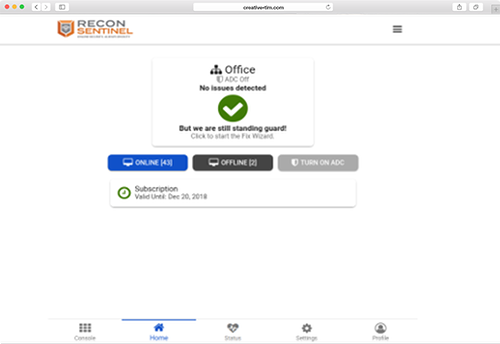 Recon Sentinel sits on your network like a trusted soldier, constantly looking for signs of cybercriminal reconnaissance, intrusion or other nefarious activity. Once detected, Recon Sentinel will take actions to disrupt the communications of the attacking device, breaking the ability of the cybercriminal to carry out their intentions and alerting you of their presence. The Recon Sentinel was designed with usability at it's heart. Cybersecurity can be difficult. 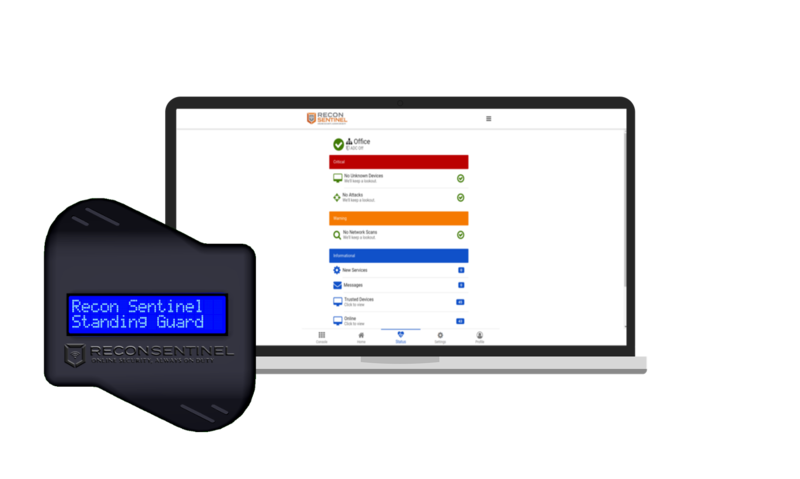 The Recon Sentinel requires no complex setup, works will all existing devices (including IoT Devices), and provides instant feedback via the on board display. Easy to use cloud management and mobile application give you up to the second information, on all your Recon Sentinels , anywhere you have an Internet connection, and drill down displays shows all the details for the tech minded buyer. You can't defend what you don't know. 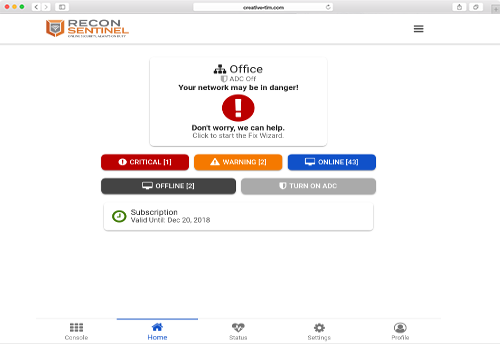 Recon Sentinel provides a real-time inventory of all devices on your network. Detects and blocks Unauthorized Devices, Hacking Activity and Attacks on your network. 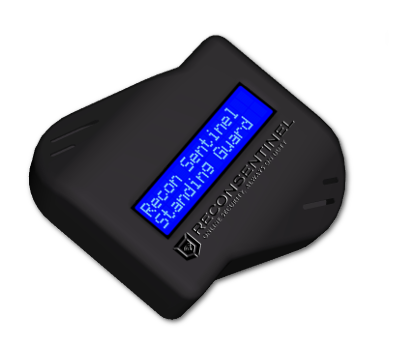 Cyber Deception Traps lure malware and hackers into interacting with the Recon Sentinel, immediately alerting you of their presence. Detects the scans used by malware and hackers performing network reconnaissance looking for vulnerable devices. If nefarious activity is detected, the Recon Sentinel will send an email alert to you, notifying you of what is happening and what you can do to fix the issue. 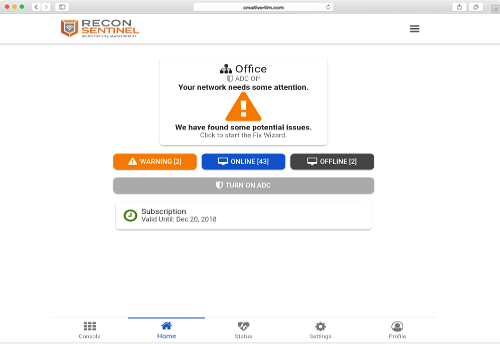 No matter what router, firewall, wireless access point and anti-virus you have, the Recon Sentinel works with all of them, adding a virtual layer of detection and protection to your network. "Cyber crime damages costs expected to hit $6 TRILLION annually by 2021!" 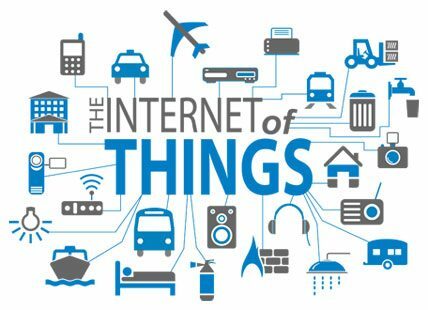 IoT DEVICES TO TAKE OVER THE PLANET! 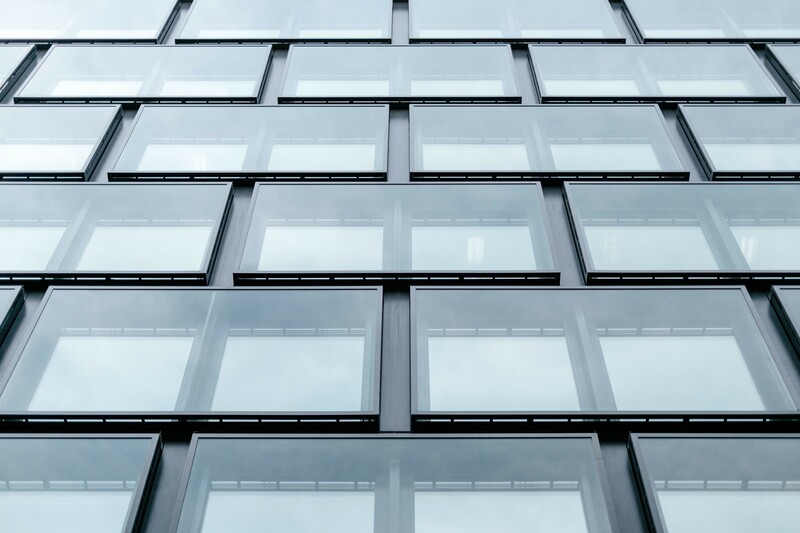 "Estimates say that there will be over 20 BILLION connected devices by 2020!" "There is a hacker attack every 39 seconds, affecting one in three Americans each year." "43 percent of cyber attacks target small business." © 2017 Cigent Technology, Inc.